Finally, a gaming headset that sounds every bit as good as its headphone counterparts. 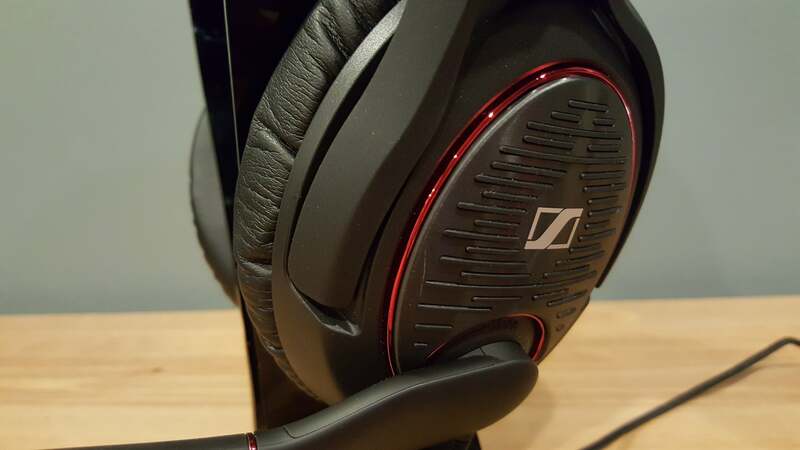 I’m reviewing Sennheiser’s Game Zero headset to answer a question. Lately, it’s become increasingly common to hear the following advice on gaming headsets: Don’t buy one. Instead, you should spend your money on a good pair of headphones and a standalone mic from a reputable company. But what about when a reputable company makes its own gaming headset? 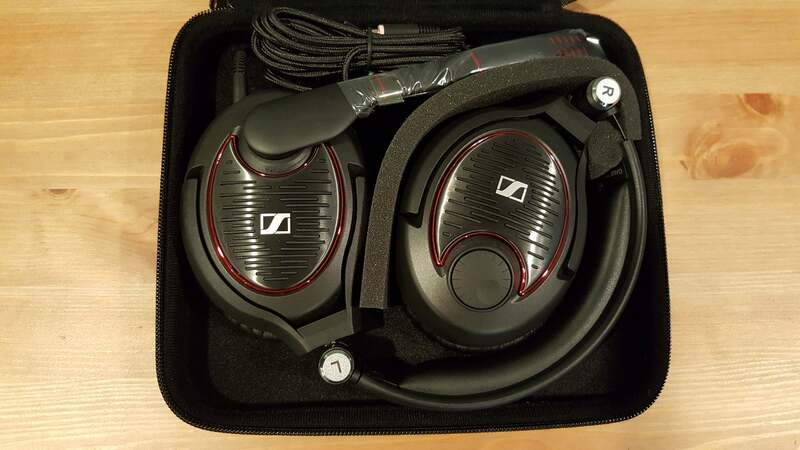 I’ve been investigating that scenario for the last few months, looking at a selection of gaming headsets from mainstream audio favorites Sennheiser and Audio-Technica. Besides the Sennheiser Game Zero, I also evaluated Sennheiser’s GSP 350 and Audio-Technica’s ATH-AG1X. 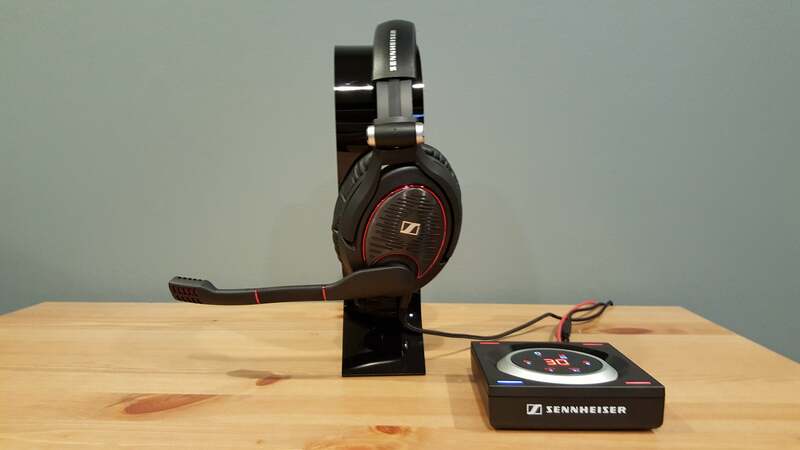 Sennheiser’s updated Game Zero headset, which I tested both standalone and using Sennheiser’s GSX 1000 amp, is expensive. However, my time with it showed that it’s certainly a worthwhile purchase—and a successful challenger to popular sentiment on Internet forums. I’ll say this: Gaming-centric companies could learn a lot about presentation from their boutique counterparts. The Game Zero comes ensconced in a semi-solid case, making it eminently more portable (and stowable) than most headsets I’ve used. HyperX and Astro are the only companies I’ve seen to take similar pains on the gaming side of things. Maybe also Razer on a few of their higher-end products. The Game Zero is also pretty inoffensive as far as “gaming” products are concerned. Sennheiser’s decked it out with metallic red highlights, so it’s a bit flashier than your average pair of studio cans. That’s really the only difference, though—otherwise, the Game Zero looks like a pretty standard pair of headphones. Black earcups, black chassis, Sennheiser logo emblazoned on the ears and the band. Simple. The most notable feature—and the one I appreciate most—is the size of the Game Zero’s earcups. Billed as “XXL,” each is an enormous oval that fits over my ears with probably a half-inch to spare in every direction. Despite that, they still seal exceptionally well and with minimal jaw-squeezing—just amazingly comfortable, all around. Being closed-backed, I did get slightly warm wearing them, but that’s a pretty common problem with any headset decked out in leatherette. The Game Zero also feels well-built. The band itself is metal, fairly flexible and lightweight, and connected to the ear cups by two hefty metal pins. The ears also swivel flat with a smooth fluid motion I can only think to describe as “high-end” even though it’s...well, something as banal as rotating the ear cups. On the right ear you’ll find an embedded volume wheel, a flat disk with small notches on it. It’s large enough to find in a panic but subtle enough to not call attention to itself. As for the microphone, it’s a flip-to-mute model that makes an audible click when you’ve moved it to the active position. I’m a flip-to-mute fan, so that’s fine. My only real complaint is the Game Zero’s inflexible design. The microphone is large, firmly affixed, and very obvious. You can swivel it up out of the way, sure, but there’s still an enormous microphone fastened to the side. That makes this set really only suitable for indoor use. Sennheiser’s not alone in this, but I would’ve preferred a semi-hidden microphone at the very least—especially for the price. The cable is removable though, and that’s a definite plus in my book. I’ve become increasingly skeptical of headset cables. 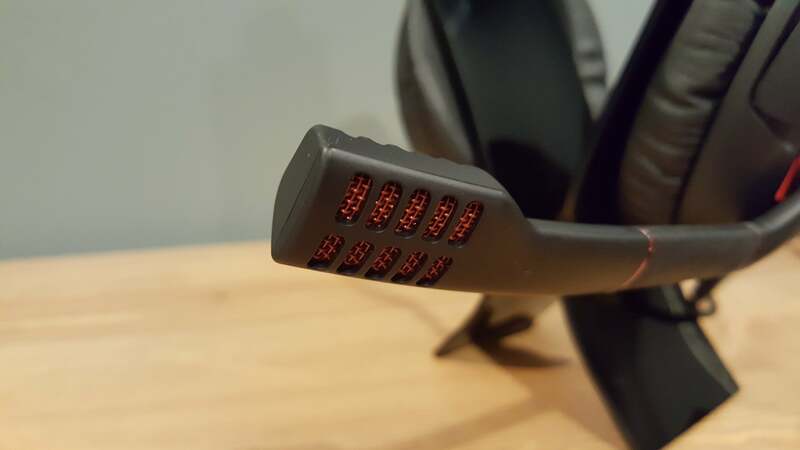 It seems like they’re always the first piece to break, and while there are some trade-offs with removable cables, the feature at least prevents your headset from turning into a paperweight. I have very few quibbles overall, and the few that exist also apply to many other (lesser) headsets. This is a damn nice bit of engineering overall, in a no-frills, takes-few-risks sort of way. Which brings us to audio. 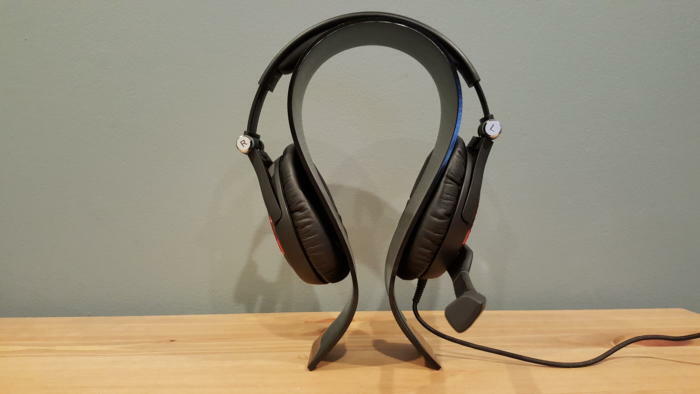 After all, we want to know if a gaming headset from a reputable, audio-first brand a safe buy. I’m going to start off talking about the Game Zero in isolation, as I assume that’s how most people will use it. This is also brave new territory for the Game Zero—the previous version had a rated impedance of 150 ohms, which for the majority of people means “You need an external amp to drive this properly.” The updated version we’re reviewing is a low-impedance 50-ohm model, meaning it should be suitable for use with pretty much any motherboard’s on-board audio. Put simply: It sounds great. Music is particularly impressive—I generally run headsets through those tests first, because gaming-centric devices often lack the subtlety and clarity you’d get from normal headphones. The Game Zero? Beautiful. It sounds a bit muddy at very low volumes, but get it into the 20-percent range (or higher) and everything becomes crisp. Highs sound sharp and snappy, while mids have a refreshing intensity to them. Sometimes overly intense—I think they’ve been boosted a bit. I didn’t find it particularly offensive, though. Those XXL earcups also come in handy. Like HyperX’s original Cloud, with its oversized earcups, the Game Zero feels like it has a massive sound stage compared to most gaming headsets I review. Even plugged straight into my motherboard’s audio with no frills, the sound has that wide pseudo-surround quality you only get from exceptional stereo headsets. The only aspect some might find disappointing is the bass response. It’s very precise, but lacks the oomph some people want from explosions, gunshots, and the like. Personally I’m fine with that—I prefer a more natural sound. There’s also a lot of headroom, so you could always fiddle with the EQ settings and insert more bass. My sole concern is that some people might find it lacks punch straight out of the box. The microphone is also top-notch. I’ve left it until late in this review to discuss, but don’t let that fool you: The Game Zero has the best microphone I’ve heard on a gaming headset. Most headsets leave people sounding muffled, or like it’s coming through an antique telephone. The Game Zero is the only gaming headset I’ve used that captures a voice’s full tone. Would you want to record a podcast on it? Eh, still probably not. It’s excellent though, as far as headsets go. Crystal-clear. Okay, that’s unaided stereo output. 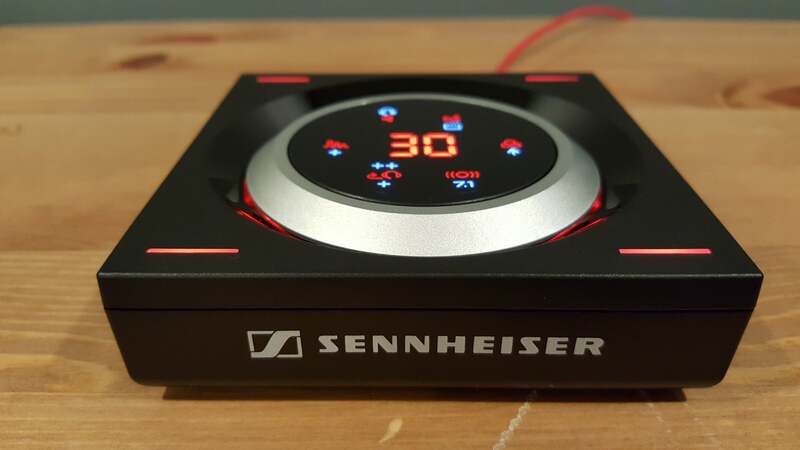 Sennheiser also sent along its GSX1000 amplifier/DAC to test with the Game Zero—an additional $230 cost. One I’m sure most Game Zero buyers won’t make. It’s a nifty little unit, though. The GSX1000 is a small and unassuming black square with a silver disk embedded in the top—volume control, it turns out. 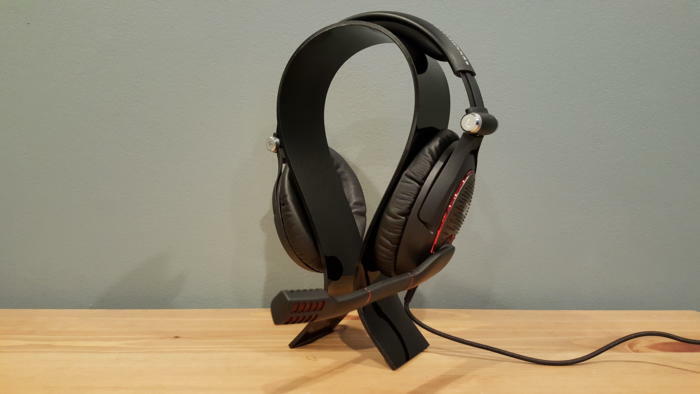 Connect it to your computer with a USB cable, then plug the Game Zero (or another 3.5mm-equipped headset) into the back, and you get access to a whole host of new features. Adjustable reverb, 7.1 audio, simple EQ, sidetone—it’s all adjustable from the GSX1000, with touch controls easily accessible on the top of the disk, surrounding a red digital volume readout. It looks like HAL 9000 went into building audio accessories. You can also save different profiles to each of the unit’s corners, which is important to know because otherwise you’ll (like me) wonder why it keeps resetting to the defaults whenever you adjust the volume. Hint: It’s your palm hitting the profile selector. The Game Zero sounds slightly better through the GSX1000, especially through the music setting—that’s where you’ll find the thumping bass that’s missing when you use the headset on its own. Like, really thumping bass. As far as adding virtual 7.1 to a pair of stereo headphones? The GSX1000 is pretty decent. It’s a lot more subtle than the virtual 7.1 implemented by Razer and Logitech—subtle enough you can even leave it on while listening to music, without getting that awful echo-chamber effect I associate with a lot of virtual 7.1. Get a respectable in-game mix and it all sounds pretty damn good, though. Battlefield 1 and Doom are both excellent test subjects, especially when combined with the Game Zero’s oversized earcups—the pairing provides for an impressively wide sound stage. It’s not as obvious as, say, Razer’s Man O’ War, nor does it approach “real” 7.1 sound, but as an add-on for any 3.5mm headphones or headset? Not bad. Is it worth $230? Harder to say. The GSX1000 is an attractive unit, and if you’re after 7.1 specifically, it’s a solid option that’s bolstered by its tidy shape, small size, and hassle-free setup. But for most people I think the standalone Game Zero would be enough, especially with more and more motherboards coming with faux-7.1 built in. And if you’re just looking for a headphone amp? Look elsewhere. Not only does the GSX1000 not add much power (it’s more of a DAC than an amp), but there are plenty of sub-$100 options that do a respectable job. You can find even more options in the $100 to $200 range. 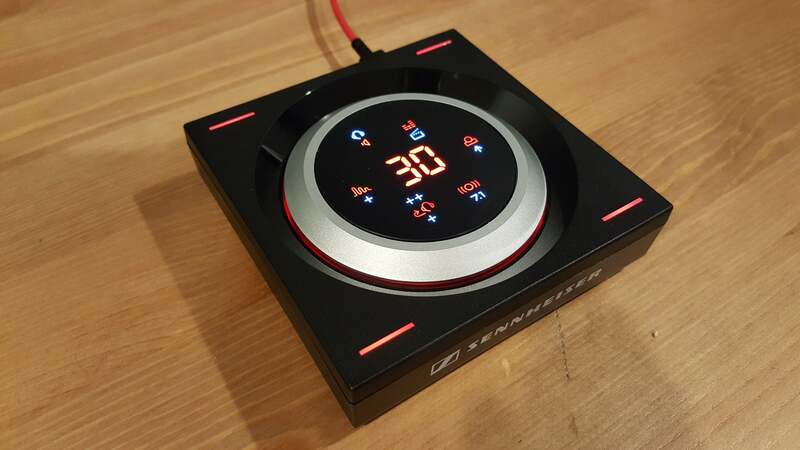 Regardless of whether you spring for the GSX1000, Sennheiser’s Game Zero is an excellent device. When I last wrote about Astro’s A50, I cautioned that they didn’t really provide the sound I expected from a $300 pair of headphones. The Game Zero illustrates my point—at $280, they deliver much better audio than the A50. Yeah, $280 is expensive for a wired gaming headset—it’s definitely pricier than the vast majority of wired gaming headsets. As always, I will say that you can get already get pretty damn good gaming audio for under $100, courtesy of HyperX. But for the person who wants one step better than gaming-centric audio, but still needs that built-in microphone? The Game Zero is a good choice. Yeah, I know that you could still probably get slightly better headphones and a better standalone mic for less than $280, but not much less. And if you pit that option against Amazon’s perpetual sale price of $180 for the Game Zero, that rule of thumb mostly withers away.